The earliest spring is here. Brigidtide, St. Brighid’s Day, Imbolc, Candlemas, Candlelaria, Groundhog Day (weather auguring), all names for the youngest springtime. In a nice correspondence, I find that this is also the time of year for the Hindu festival Vasant Panchami, celebrating the goddess Sarasvati and the beginning of spring. And the Yoruban festival of the orisha Oya is also now. 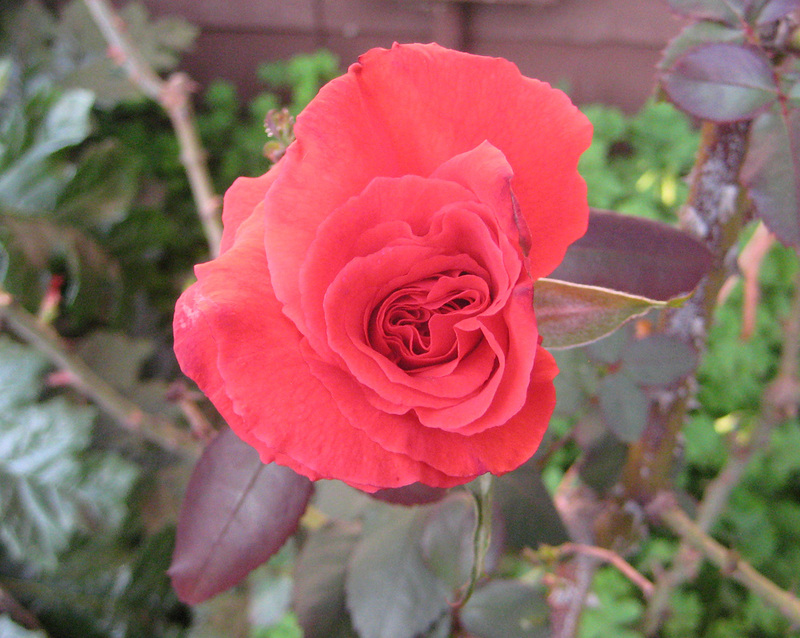 On the Wheel of the Year, it is sometimes called, creatively, Stirring, or Quickening. We are still in the dark half of the year and I still wear plenty of sweaters, early and late. The starry fabric on my Brigid altar is one of two I put outside the other night for the bhrat, which is Gaelic for cloak, to gather Brigid’s blessings and dewdrops while she is abroad at night. 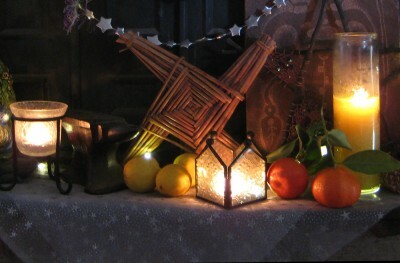 Three candles on my hearth altar represent the threefold aspect of Brigid. Fire in the forge that shapes and tempers. Fire of the hearth that nourishes and heals. Fire in the head that incites and inspires. And there are dewdrops indeed on the morning grass. 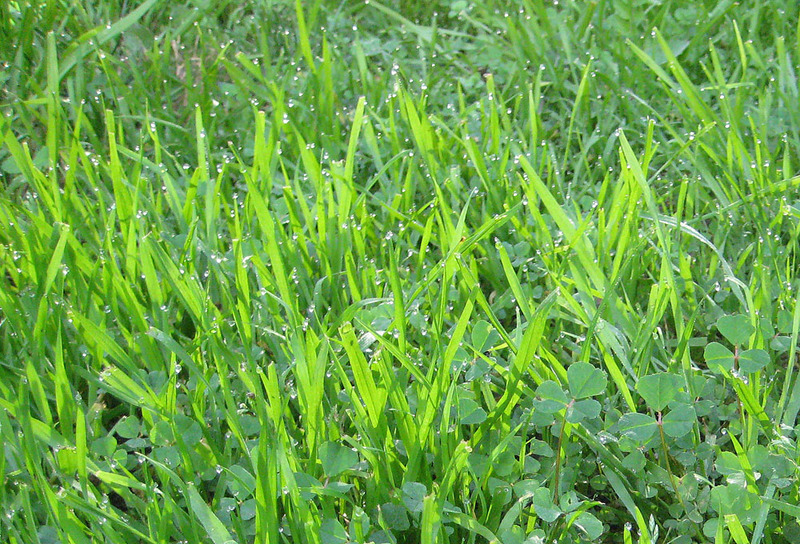 My herbalist friend at Hearth Gardens observes that Brigid’s altar is the waking earth. The first fragrant rose by the gate reminds me of young love and Valentine’s Day. 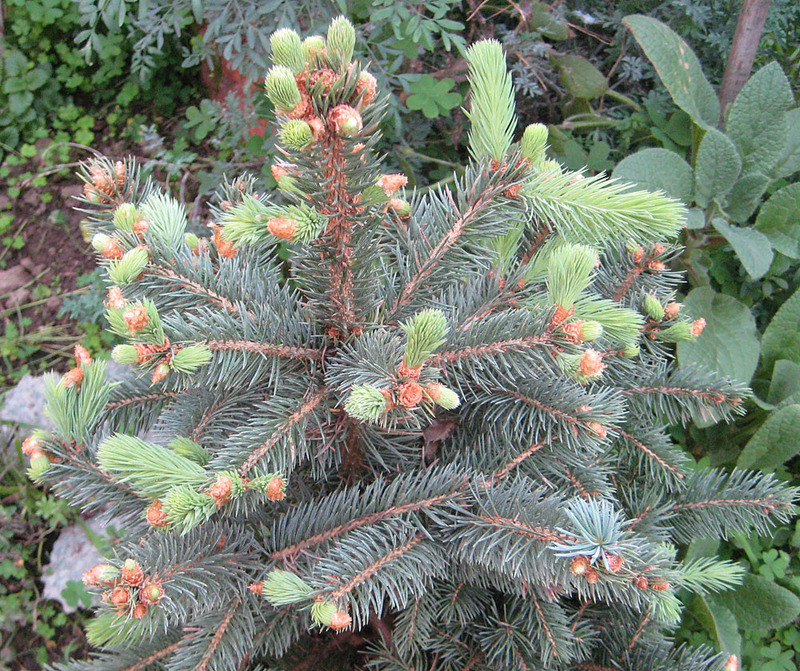 The Yule tree, a potted baby blue spruce, responds with exuberant new growth after returning to the outdoors. 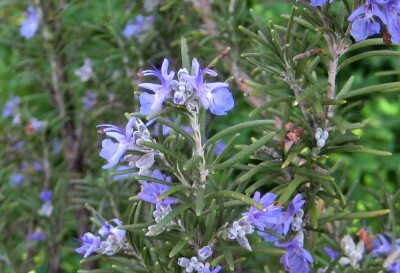 The rosemary is tender with blue-violet blossoms. The flower and herb seeds I cast at the last full moon are vigorously sprouted. 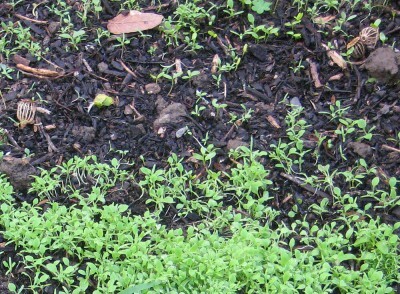 The husks of the poppy seed heads are visible in the two upper corners. This year we seem to be having an excess of nice days, which means no rain and continued drought conditions. But the greening world seems to have no word of sorry news, and is swelling with verdant fervor. We may not have the living Old Ways too much in the this country but some of us delight in the old agricultural year and honor it as best we can. And enjoy videos such as this one, of the Biddy Festival in Kerry. Bright Brigid Blessings from my hearth to yours!